I successfully dropped both of my munchkins off at school without any tears being shed for the first time yesterday (both on my end and on theirs) so that felt pretty good. Mr. P. is getting into the swing of kindergarten (apparently they get to spend tomorrow in a bathing suit and dancing all day). 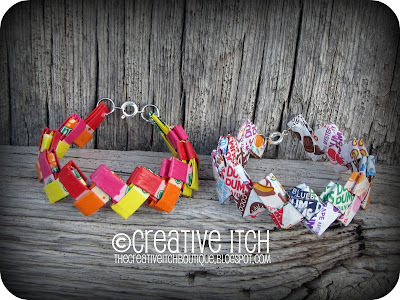 In other, less leaky news, we have Misty from The Creative Itch visiting us today! Misty is the mom of 5 children! Yes, I said 5! (makes me laugh to think what I'd be like with 5 kids because I can barely make it through the day with two!) And she loves to craft, sew and create with them! 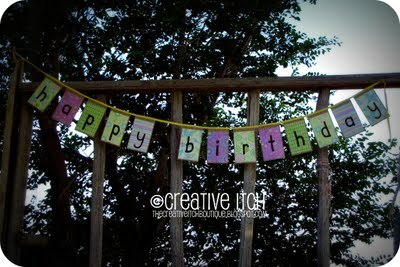 Here is a Paper Bag Birthday Banner. 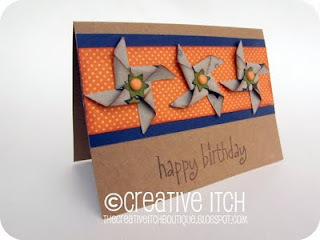 I love the blending of paper products and fabric! 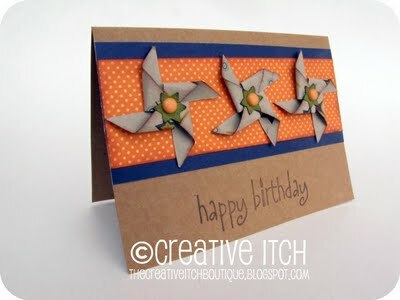 And here is her "boy" version of her pinwheel card. So cute!!! 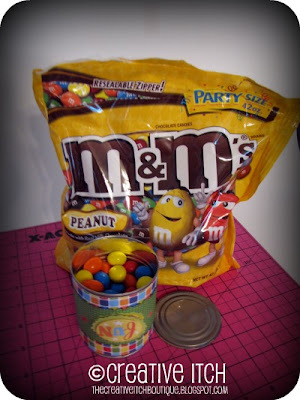 Misty also hosts a weekly sewing round up called "Super Cute Tuesdays". 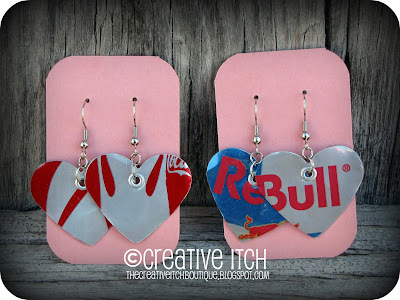 Today she's sharing a great craft recycling project with us! Take it away, Misty! Hi everyone!! I'm Misty from Creative Itch!! I'm a Stay-at-Home-Mom of 5 wonderful kids, have been married for 13 fabulous years to my best friend, and love anything and everything crafty! Each week, I host 'Sew Cute Tuesday', a linky party for sewing projects!! I'm a beginner when it comes to sewing, and always find at least one project that gets added to my 'To Do List' each week!! I'd love for you to link your sewing projects...make sure you come visit on Tuesdays!! Today I'm going to share with you a fun way to recycle pull tab cans. 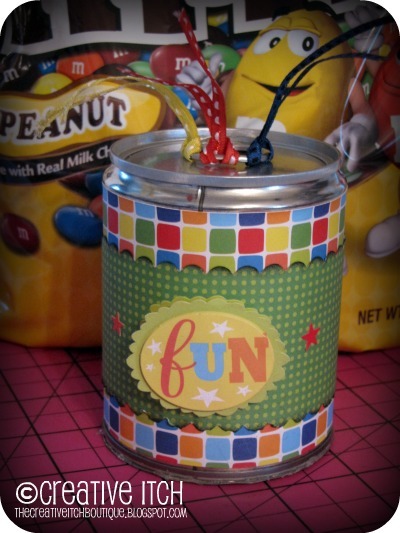 These Pull-Tab Treat Cans would make a fun addition to your kids' lunch boxes, or even a great gift for a teacher or friend! 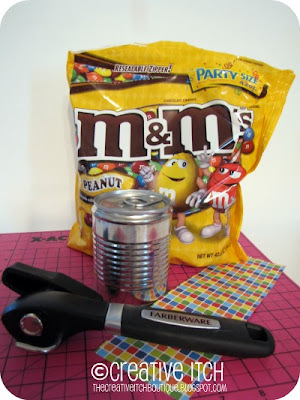 First, using your safety can opener, open your can from the BOTTOM. Empty the fruit out of the can and wash both the can and the bottom lid well. Dry thoroughly. Adhere the 3.75"x8.75" piece of scrapbook paper around the can, and decorate as desired. 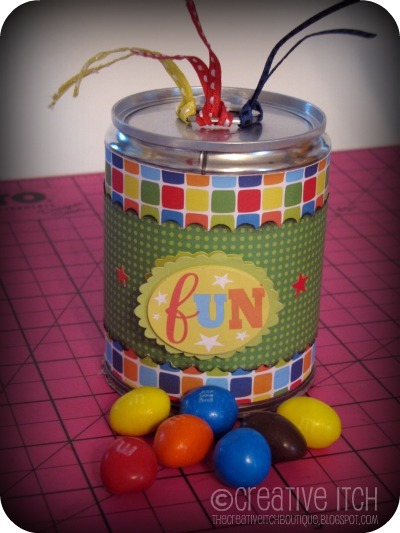 Fill the can with candy, leaving a 1/4" to 1/2" head space. 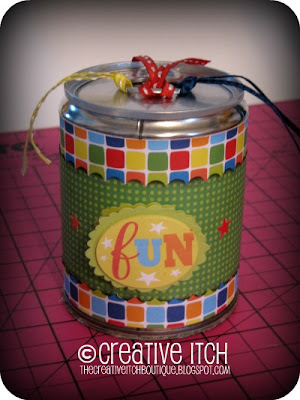 Put some hot glue on the edge of the bottom lid and quickly place back on the can. And there you have it...easy peasy!! You can get really creative and use other items besides candy to go inside the cans as well. 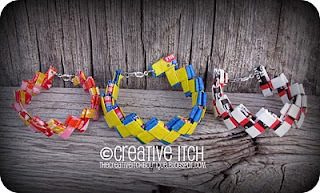 How about putting a few bracelets and maybe some earrings inside? Or what about some small toys? The sky's the limit!! Thanks for letting me be a part of Back to School Month! !